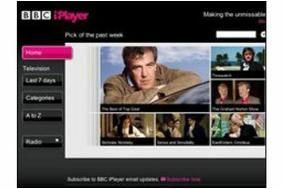 BBC to launch iPlayer worldwide from 2011 | What Hi-Fi? Today the Corporation has confirmed to The Daily Telegraph that iPlayer will be rolled out internationally from 2011. The BBC Trust has given the go-ahead for the move, which will bring joy to many ex-pats who have bemoaned their lack of access to the iPlayer's catch-up TV service. "Our research has shown there is an international audience of British TV fans who frequently watch TV online – and we are excited about rolling out our iPlayer VoD [video on demand] service to meet and grow this demand," says Luke Bradley-Jones, MD of Global iPlayer. Many popular BBC TV shows, such as Top Gear and Doctor Who, have a large following outside the UK. John Smith, chief executive of BBC Worldwide, says he has still to decide whether to fund the international service through advertising or as a pay-per-view service with fees up to $10 per show. A subscription model might also be considered.